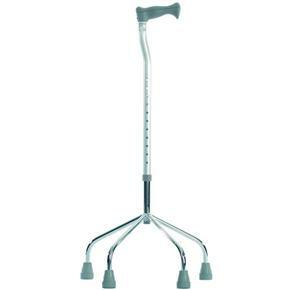 Walking Stick with Four Large Feet With Ferrules. 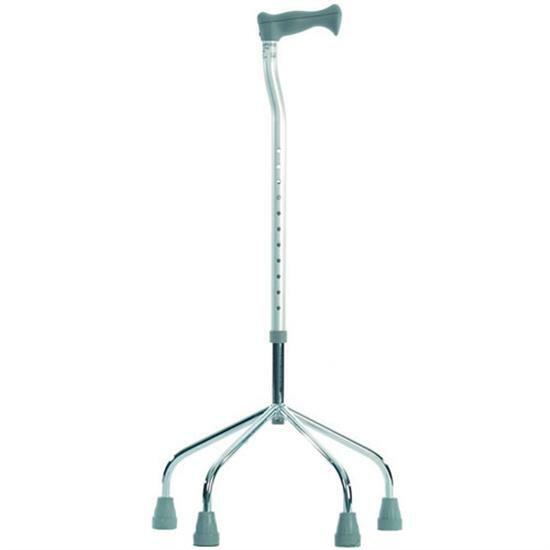 Designed for those that have difficulty in walking, this quadruped walking stick has a broad base and four legs with rubber tipped ferrules. The ferrules help make sure that no slipping is going to take place, and the wide base adds to the overall feeling of support. Ideal for people requiring maximum stability, the stick has a chrome plated steel base with anodised aluminium neck - lightweight, but robost, and built to last. Users will find that the handle is moulded for comfort, and can be raised or lowered to suit their height and posture. This order arrived the very next day,were exactly as described,and were the right walking sticks for my disabled son.